Everyone freeze! Stop right where you are and look around. Survey the landscape. With all the clamoring and commotion in education, have you stopped to notice? Education transformation is already well under way. I know, I know. With all the posturing and politicking going on from your local school board to the state house to the White House, there's a public perception that it's business as usual. Voices of self-interest continue to tout the status quo. Advocates for the public interest continue to toe the bottom line. Amidst all the noise and distractions, education in 2013 can look and feel like more of the same. As an institution, education is susceptible to the pitfalls and pratfalls of change: inertia, resistance, and gridlock. For many educators, the focus on standardization and accountability feels like roadblocks. For others, forces of globalization and techno-constructivism feel like progress. And all the while, budget cuts and reform backlashes tighten the vise grips on agri-industrial education. After decades of lip service about retrofitting reforms on the existing model, nothing short of a societal sea change is raising it from its sedentary, sedimentary, seemingly cemented place at the core of civilization. How? Families now run the gamut in how they look and operate. Information is now free and available everywhere. Learning and learner interests are developed long before children enter a classroom. Graduates are struggling to meaningfully plug into the workforce. And successful twentysomethings are demonstrating a set of skills, values, and attitudes that they are learning outside of school. The disconnects are everywhere, and the voids they create are quickly being filled by the forces of transformation. It is happening ... right now ... as I write and as you read this. At age 52, I know education will look very different by the time I retire. The trends in this transformation are flexibility, adaptability, and individualization. While many are making inroads using technology and collaboration, these are not the goal; they are tools that help us meet the needs and interests of each individual. There is something bigger and more substantive that provides the couching, the context, for this transformation in education: the whole child approach. It's a global-communal model for harnessing our resources to meet the needs of each child in each school in each community worldwide. Schools are held to a higher standard, ensuring that every child is healthy and safe and engaged and supported and challenged. And it is a sustainable model that serves society well as it continues to evolve. 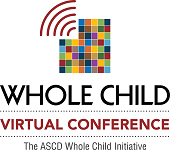 The whole child approach addresses the disconnects in education, fills the gaps, and floods the landscape with a vibrant vision for education. What are the outcomes of a whole child-based education transformation? Education shares a common vision nationally and globally. Education is embedded with all other community health and support service agencies to meet all the needs of all children. Schools become interconnected, personal learning communities. Inquiry, innovation, and lifelong learning are modeled by everyone. Teachers are process experts, not content experts. Mentoring takes place at all levels, free of age and grade labels. Learning takes place based on individual needs and interests. Students and teachers use their own tools on an open, accessible campus network. Students and teachers create and publish new knowledge, giving back to the community. All children are prepared for college, career, and citizenship in a global economy. Look around. Where are your school and community in the transformation?